I had pancakes for breakfast and that’s okay. This morning I had a date with fellow breakfast enthusiasts Jenna and Sarah. 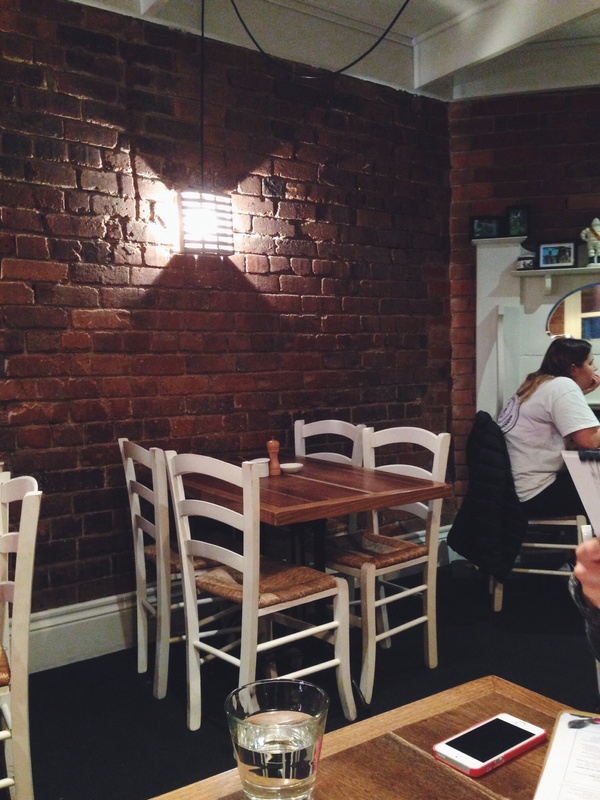 We were off to Crabapple Kitchen on Glenferrie Road, Hawthorn on Sarah’s recommendation. 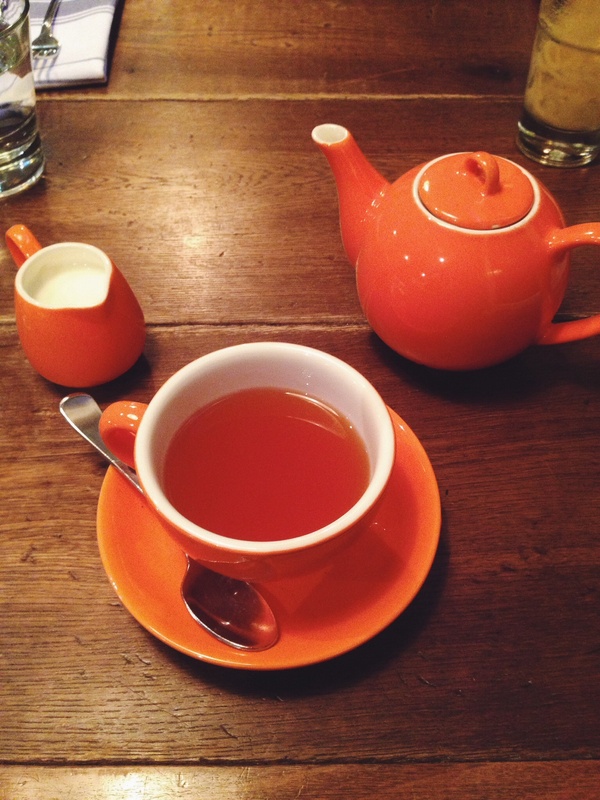 It’s a cute little cafe with white picket fences lining the road and orange crockery. The staff were pleasant, very attentative and had us seated within five minutes. Natural muesli (oats, goji berries, figs, raw almonds, cranberries, sunflower seeds and puffed corn) with vanilla yoghurt. In true Emma style, I went against my decision. 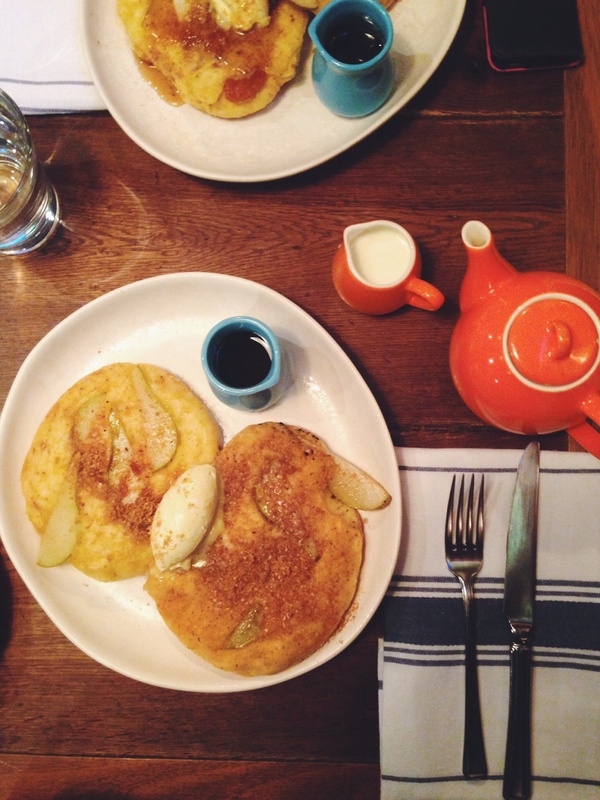 It only took ten minutes and the, I quote the waitress, ‘Life-changing’ Myrtleford buttermilk pancakes with pears in spiced sugar, pecan & pine nut praline, white chocolate mascarpone and pure Canadian maple syrup was sitting in front of me. Without the side of bacon (I still can’t quite work out the sweet-pancake-bacon thing). 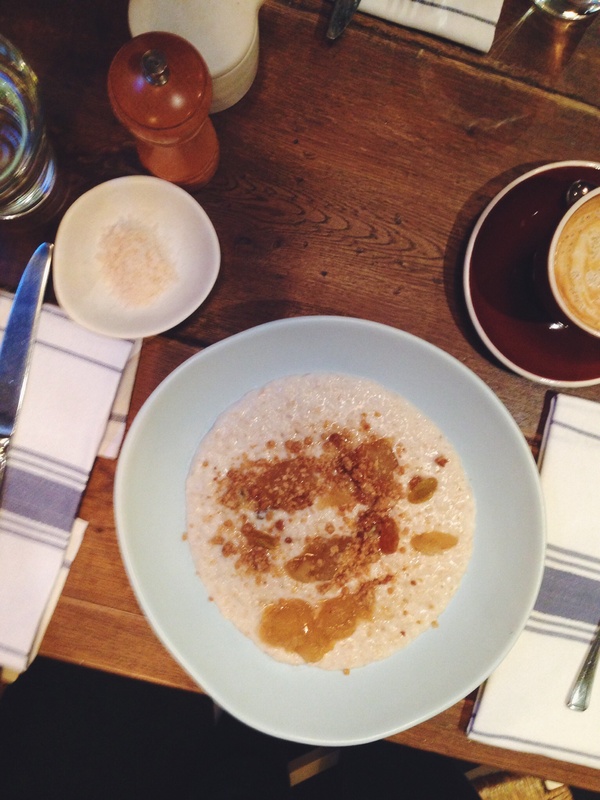 Jenna also ordered the pancakes, and Sarah the bowl of steamy porridge. From observations of other diners pancakes we were expecting one pancake on a plate. Apparently you actually get two. Oh my god. They were light and fluffy and at least one inch tall. The topping was sweet and brought back memories of cinnamon donuts and sheepvention (sheep expo that warrants a day off school. Look it up, it’s a thing.) The pears were tender and the portion of marscapone just perfect. They were delicious. Not quite life-changing but definitely put them on your to-do list. We talked jobs, health, cheerleading and theatre productions. Naturally, we discussed blogging. A common thought expressed was that feeling that you’re talking to no one when blogging. So please, if you read our blog and like them, please let us know. 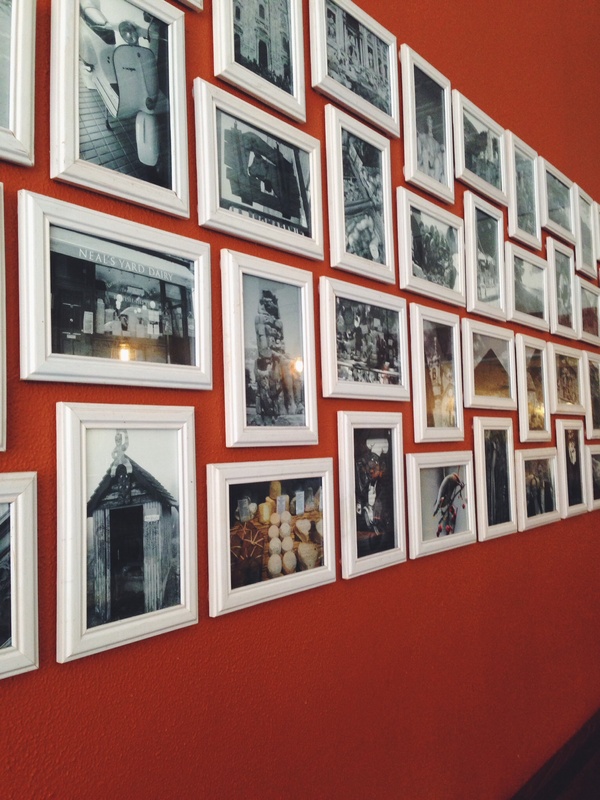 If you don’t like them, also let us know – we love to know how we can improve and keep you coming back for more. We shared tips, and discussed contradictions such as two dietitians eating pancakes for breakfast. It was this discussion that triggered my post today. What would have been a waste was if the mint tasted artificial, or the huge crowd caused me to drop my cone on the ground; or if I let this comment get to me. I’m writing this post because there is so much pressure on everyone to eat the perfect diet. I’m tired of people feeling guilty because they ate cake at a birthday party or they missed their morning green smoothie. I myself have spent years looking at menus trying to choose the healthiest option and it wasn’t enjoyable. Not because healthy foods taste bad (this is definitely not the case), but I created such a negative notion around my choice and was too busy worrying about my weight than enjoying the company of my friends. Today I am a firm believer in everything in moderation and strongly believe that if you are going to indulge a little, make sure it tastes good and you enjoy it. When I was doing my undergraduate degree, I was lucky to gain two days observational work experience with Zoe Nicholson APD.I learnt quite a lot and left with a few key messages stuck in my mind. I don’t remember the exact wording but one of these was : You have twenty-one meals a week. Ensure that 18-19 of these are healthy and you’ll be okay. Chobani greek yoghurt with homemade muesli, seeds, coconut flakes and frozen blueberries for breakfast. Poached chicken with apple & fennel slaw for lunch, and dinner was left over curried vegetable pie with a side of brussels sprouts, broccoli & carrot. I snacked on raw carrot, rice cakes with peanut butter and after dinner, I had more yoghurt topped with apple and cinnamon. Monday looked a lot the same. Tonight I have plenty of vegetables to whip up a chicken stir fry and I’ll likely have yoghurt and fruit after. So, in the context of a healthy, balanced diet, those pancakes don’t look so bad do they? It’s also important to look at how we eat. I sat in a cafe and enjoyed the company of friends. I put down my knife and fork and paused between mouthfuls. I poured myself some tea and sipped on water. We discussed the pancakes flavour, the lovely crust and the gooey centre. And I stopped eating when I was full. All my attention was focused on the people I was with and the food. This is called mindful eating. Being mindful of the food we eat helps us disconnect from the habitual behaviour we often engage in. How often do we eat our food whilst checking our emails and updating our Facebook status, and find we have eaten the entire plate of food without really enjoying the food or feeling satisfied? How often do you eat because the clock says it’s lunch time or because you’re bored? We are all guilty of this mindless eating. Some more than others, and this is what can contribute to weight gain. By switching off our phones or the television we allow our brains to focus on the food we eat. We recognise some food as treats and learn to listen to our satiety signals. We can fulfil our cravings and learn to develop a satisfying, healthy and enjoyable relationship with food. So today I had pancakes for breakfast, they were delicious and it wasn’t the end of the world. < Chobani & Instagram friends. Love love love this Em. Such true words. Thank you Kylie! Where are you studying? 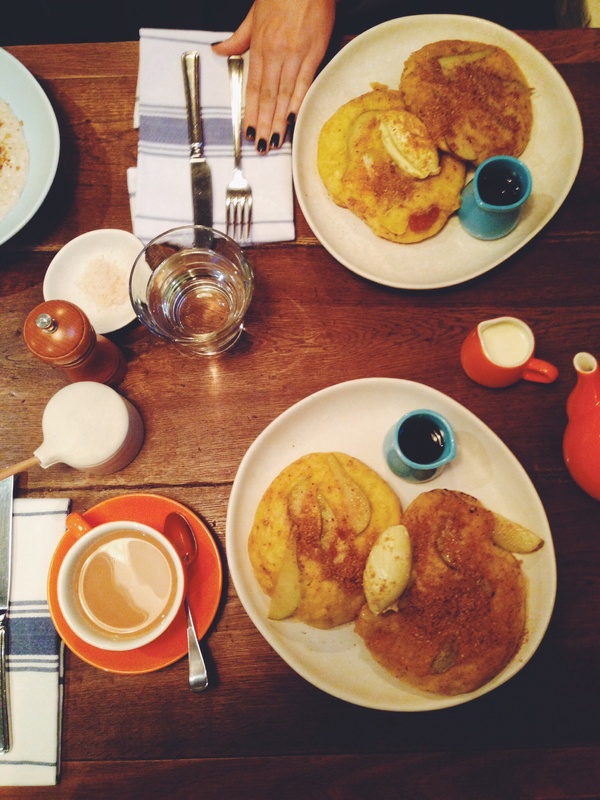 Emma pancakes aren’t okay…they are fabulous! As you are for sharing this post! Food is the source of such pleasure, joy and celebration and as such, it should be savoured through eating it mindfully; give it what it deserves! PS: I take full credit for your QV choc-mint ice cream experience.